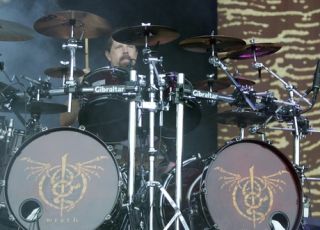 Lamb of God drummer Chris Adler has suggested that the arrest of the band's singer Randy Blythe has acted as a wake-up call. Adler told Billboard: "Overall, for me anyway, it really helped recapture what drives me to do this to begin with. After 10,000 shows and records that sell really well, you start to lose touch with. "So when you're threatened with it being over in a blink of an eye, you realize how fragile and special it is. I've been really motivated to play harder and faster than I ever have, so I guess there's a silver lining there." Blythe was arrested in the Czech Republic in June in connection with the death of a fan of the band at a 2010 show in Prague. The singer maintains his innocence and looks set to stand trial next year.